By a News Reporter-Staff News Editor at VerticalNews Science -- Some vegetable oils that claim to be healthy may actually increase the risk of heart disease, and Health Canada should reconsider cholesterol-lowering claims on food labelling, states an analysis in CMAJ (Canadian Medical Association Journal). Replacing saturated animal fats with polyunsaturated vegetable oils has become common practice because they can reduce serum cholesterol levels and help prevent heart disease. In 2009, Health Canada's Food Directorate, after reviewing published evidence, approved a request from the food industry to apply a heart disease risk reduction claim on vegetable oils and foods containing these oils. The label suggests "a reduced risk of heart disease by lowering blood cholesterol levels." "Careful evaluation of recent evidence, however, suggests that allowing a health claim for vegetable oils rich in omega-6 linoleic acid but relatively poor in omega-3 alpha-linolenic acid may not be warranted," write Drs. Richard Bazinet, Department of Nutritional Sciences, University of Toronto and Michael Chu, Lawson Health Research Institute and Division of Cardiac Surgery, Western University, London, Ontario. Corn and safflower oil, which are rich in omega-6 linoleic acid but contain almost no omega-3 alpha-linolenic acid, are not associated with beneficial effects on heart health according to recent evidence. The authors cite a study published earlier this year in February 2013 "... in which the intervention group replaced saturated fat with sources of safflower oil or safflower oil margarine (rich in omega-6 linoleic acid but low in omega-3 alpha-linoleic acid). They found that the intervention group had serum cholesterol levels that were significantly decreased (by about 8%-13%) relative to baseline and the control group, which is consistent with the health claim." 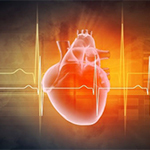 However, rates of death from all causes of cardiovascular disease and coronary artery disease significantly increased in the treatment group. In Canada, omega-6 linoleic acid is found in corn and safflower oils as well as foods such as mayonnaise, margarine, chips and nuts. Canola and soybean oils, which contain both linoleic and alpha-linolenic acids, are the most common forms of oil in the Canadian diet. "... it is unclear whether oils rich in omega-6 linoleic acid but low in omega-3 alpha-linolenic acid also reduce this risk. We suggest that the health claim be modified such that foods rich in omega-6 linoleic acid but poor in omega-3 alpha-linolenic acid be excluded," conclude the authors.